So time to get this site back alive. I’ve finally added photos from events of the past few months that Gina attended including lots of photos promoting “The Star”. Be sure to check them out. Gina is currently attending the premiere of “Ferdinand” so be sure to check back later for more on that. Deadline is reporting that Gina has left her agency APA and is nearing an exit from her management company Primary Wave. 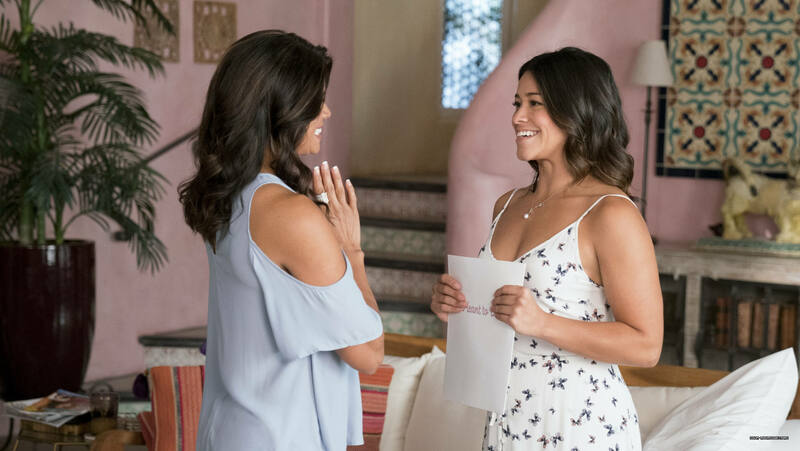 The first couple of stills from the first few episodes of season 4 of “Jane the Virgin” have been added to our gallery. Be sure to check them out. “Jane the Virgin” returns this Friday on the CW. The first teaser trailer for Gina’s highly anticipated movie “Annihilation” has been released. Gina is featured in it a bit so we get a first look at her character. Be sure to check it out below! Edit: Screen captures from the trailer have been added to our gallery! Gina attended the 69th Primetime Emmy Awards last night to present an award. Photos have been added to our gallery thanks to my friends Mouza, who is the webmaster of Lin Manual Miranda Fan, and Claudia, who is the webmaster of Mary McDonnell Vault, for helping out with the photos! Gina is gracing the cover of the October issue of Shape magazine. She looks absolutely phenomenal on the cover and outtakes. Be sure to check out part of the interview below as well as the video that was shot during the shoot. Shape will be on newsstands September 12! Here’s how Gina taps into her grit and how you can too.